Saw this exhibition yesterday and absolutely loved it. Etchings are one of my favourite art forms and Dennis does these on a huge scale. This is a must see exhibition. See my photos from the exhibition on my face book page. 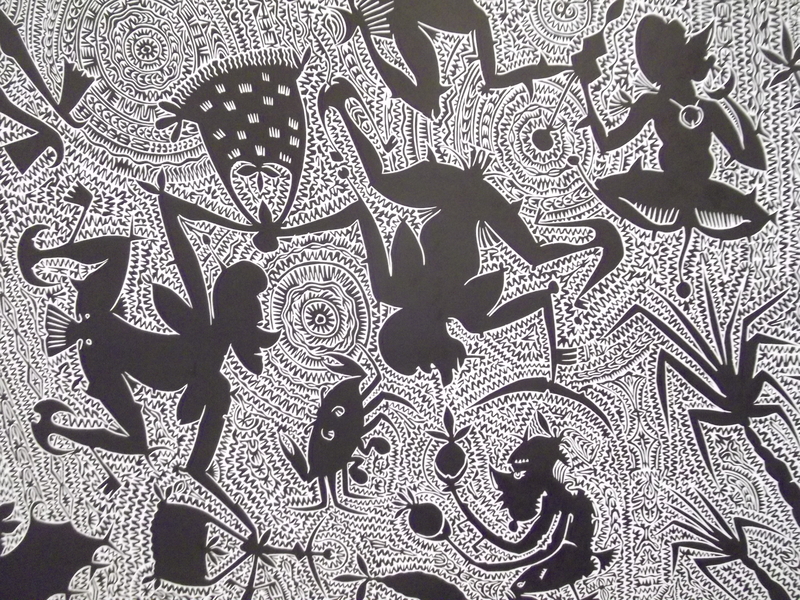 “Nona pioneered the development of the highly intricate linocut prints unique to the Torres Strait Islands. He has documented, in a vivid visual form, the ancient myths and legends of his island and the wider Torres Strait that had previously been transmitted by oral story telling and dance.